How I Got My Design Placements & Some Tips! 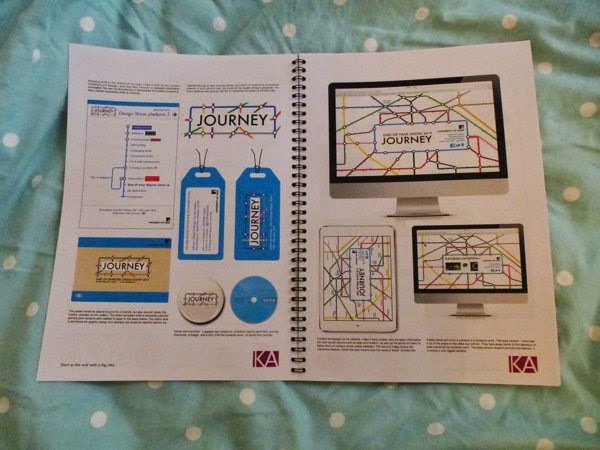 My Name is Kayleigh, and I am a graphic design student at the University of Leeds! I am currently in my 3rd year, on a year in industry placement, and I am often asked how I got my placement as well as a few tips – so I thought I would write a blog post on this subject! I apologise that this post might be quite wordy, but I like to think that it may be useful and informative! Ok Ok Ok, lets get started…. – My first piece of advice would be start hunting and getting in contact with people as early as you can! I won’t lie, I didn’t start hunting for my placement that I wanted to start in June 2014, until about February or March, and it really isn’t worth the stress or almost the feeling of being competitive against your course mates. So start early, START NOW if you are due to go on a placement year next year if you can! But saying this, a lot of companies don’t release their placements until a lot later. But starting earlier means you are prepared and can pounce on the opportunities when they arise! – When you do find some companies that you would like to work for specialise your CV and portfolio (if design) to suit their business. If they are a packaging design company, they are unlikely to be interested in how you design layouts for magazines etc etc. I reckon companies can often tell when you don’t specialise your CV and portfolio. They want to feel special, and in terms of the portfolio they want to see what YOU can do for their business and how you could have an amazing impact! – Take it lightly if you get either a lot of rejections or no replies at all. (I had plenty of these) Don’t give up, even if it does make you feel really rubbish and question if you are doing the right degree, try not to think these and have an open mind and positive attitude, and just think – hey, maybe I just didn’t suit their organisation. I CAN DO THIS! – I can’t stress this enough. There is no point in committing to something that you won’t enjoy. A year in industry is an excellent opportunity to explore areas that you would like to pursue your career in as well as learn soooo many skills such as getting so much better on software! Plus when you are invited to interview I think it will really show whether you actually want the position or not, and that would just waste everyones time! – Yay great you have got a placement offer!!!! What do you do? Take it straight away?!!! Most people would say yes, but then you may get another offer come along that may suit you a lot more! Although a lot of people I know have many many placements ( I think this is more common in design) so 3 months here 3 months there. Mine is a 12 month one, it is just what you feel comfortable with. – Don’t panic. My University (yours may be different) had a date in which you had to have 3 months of placement secured by. And although that may not seem anywhere near the 9 months you are supposed to reach. Do Not Panic. The beauty of going out there into the big wide world of the industry you have so many opportunities to network with so many people which can then lead you on to meet more people, and you never know you could be offered so more months at another company! It is quite an exciting process. – This is a really really really tricky one, I was in a situation where I probably couldn’t do one unless I was paid since I fund pretty much everything myself. But do not let this get you down, everyone wants to be paid, which makes grabbing the paid placements even harder. The experience is priceless. Just go for it! Congratz!!! You have an interview. This is when it hit me, and I actually got really scared. I was given a really good piece of advice, which was to think. ‘They want you to work for them, you are the expert of this field’ Which was kind of nice to think, and it definitely helped with confidence. You are likely to bring your portfolio with a range of pieces, as well as you may be asked to do a brief for them. – This is SOOOO important. Feedback from my employers since I have worked there is that they could see I had done a lot of research into the company and that I had put a lot of effort into it. – This really depends on what organisation you are going to. To some design studios you can get away with being smart casual, but I don’t think you can ever go wrong if you overdress and be smart! I wore a navy blue blazer, with a black top and skirt with navy pumps. – You can’t be sure of what questions are going to be asked, but some are very common and appear in a lot of interviews. For example, why would you like to specifically work for this organisation. And definitely ask questions at the end, have them prepared on a piece of paper, they will like that you have been thinking about specific things, plus you can get to know a little bit about them personally, and whether you would like to work them! – Pop them an email after the interview, telling them how much you appreciated their time and loved finding out more about their organisation, or something like that, something you particularly remembered happened, make it unique!! Not straight a way (bit keen) but maybe when you get home. They really like this, it is polite, and makes them remember you. You can do your portfolio however you like, however bigger isn’t always better!!!! Don’t think, ‘I only have 3 pieces this is rubbish’ Think – I have 3 pieces of really good quality work that is right on target to my organisation! Try to make a branding for yourself, this is useful for self promo of yourself too. My CV and my portfolio both matched each other with my purple logo I created for myself, then this can set the style for all your design boards. It is up to you how you do it, it is meant to be personal and give the employer a glimpse into your creative world! 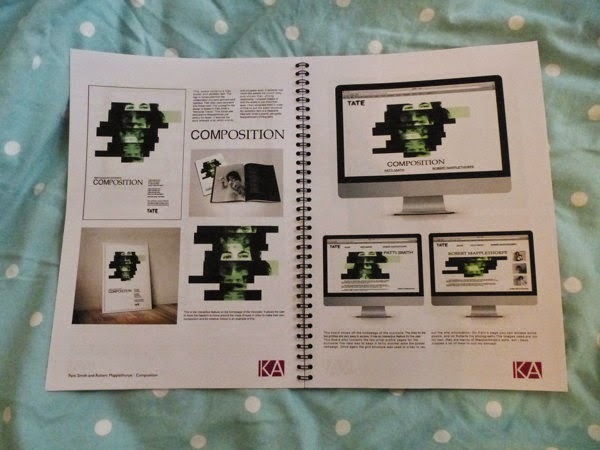 Here is a quick peek of 2 pages of my portfolio. It isn’t the most wacky, but I quite like simple design layouts. Simply add some examples of your work with a little bit of writing to go with it to explain your decisions / concept. This was an A4 version of mine for a little keep sake but I also took an A3 one, definitely take the larger one so they can get a little look at your excellent work! Get a Behance profile. As a designer in this day it is very important to have an online presence, plus it can be fun! It may be a stressful experience but enjoy your placement!!! It is one of the best opportunites you could ever have you grab that year of experience employers always want! Thank you so much for reading my first post, and I hope you will read more of future posts! Next Post Benefit ‘they’re real! push up liner’ review.